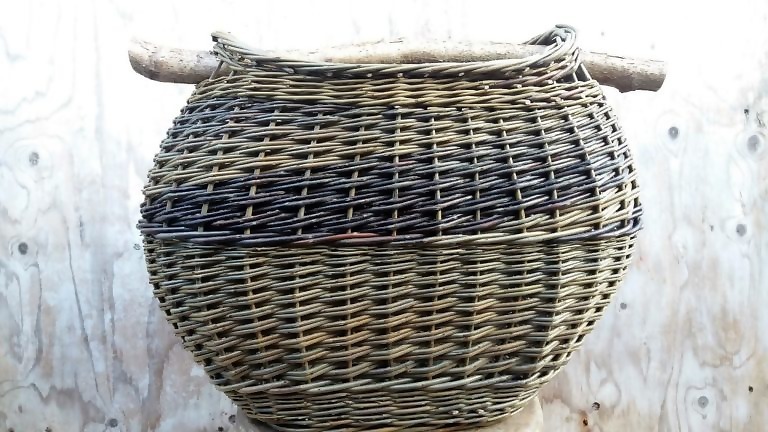 Sue Kirk has been growing willow and weaving baskets for 20 years in King's Cliffe, East Northamptonshire. 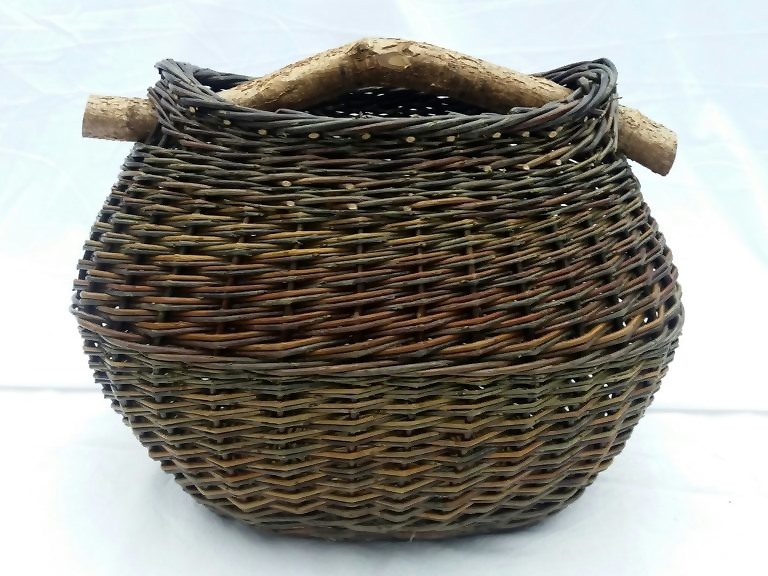 Sue makes traditional and contemporary baskets using several varieties of home grown willow. Working to commission and creating her own designs for galleries and interior spaces. 'Slice', Sue's large scale outdoor sculpture was recently woven for Burghley House Sculpture park in Stamford, Lincolnshire. Woven with home grown willows the piece slices through a stone wall, piercing the stone, playfully passing through the space with movement and speed. 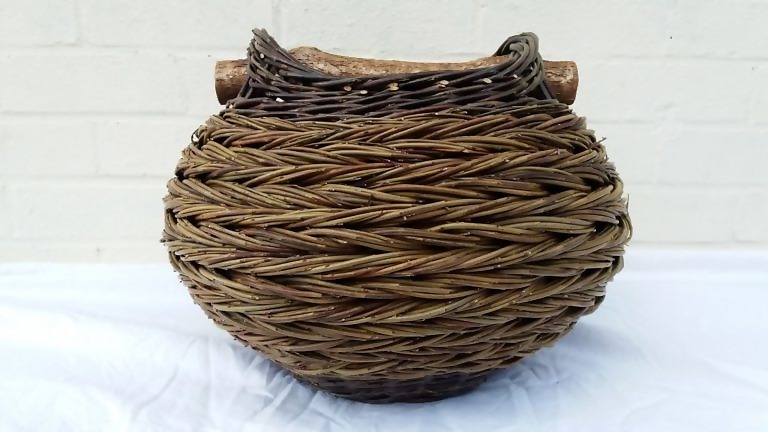 Sue also teaches basketry, garden structures and willow sculpture throughout the year at King's Cliffe and at a variety of venues around the country including the City Lit in London. 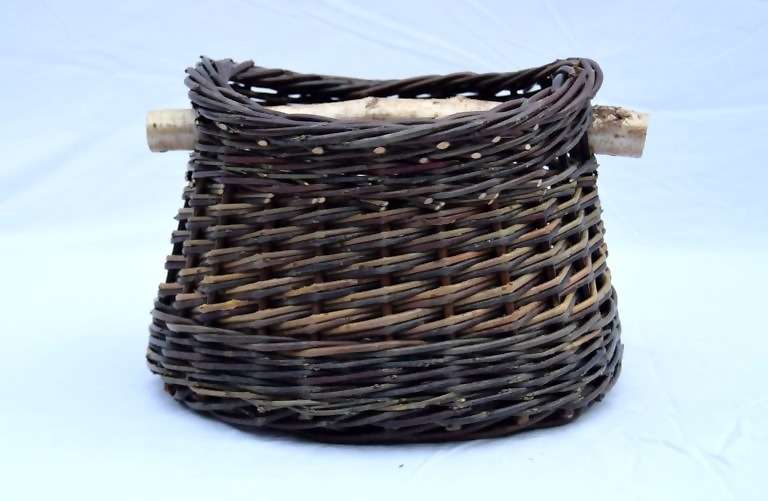 Sue is a member of The Basketmakers' Association and last year was made a Yeoman member of The Worshipful Company of Basketmakers. 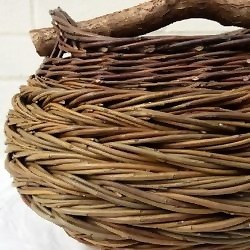 Basketry and willow sculpture, growing willow and teaching. 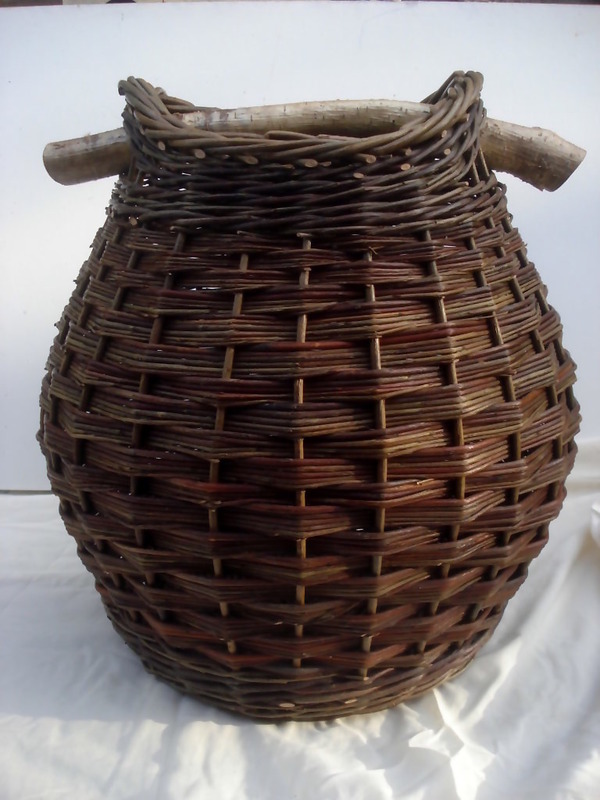 Willow grown and harvested by Kirk, woven using Green Dicks, Brittany Blue and Le Bleu willows. 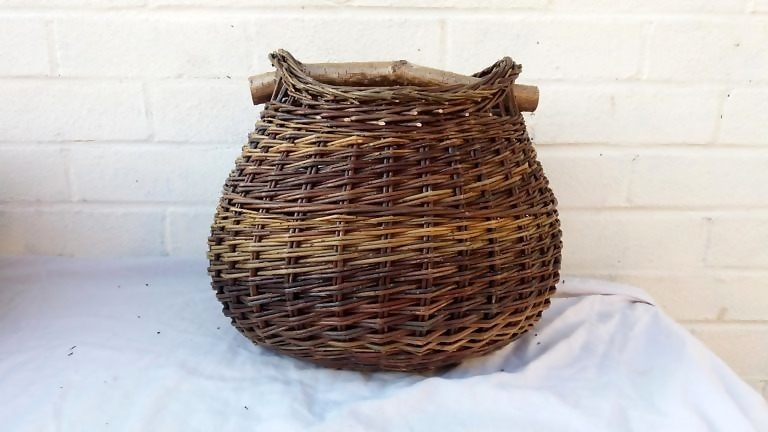 Hazel grown and harvested by Hugh Ross and Carolyn Church.